Looking for a Used MKZ in your area? CarGurus has 8,454 nationwide MKZ listings starting at $2,195. It’s not easy carving away loyalists from the German/Japanese luxury sedan segment, but a good way to start is with a 400-hp engine and a long list of standards that would cost you more from the competition. 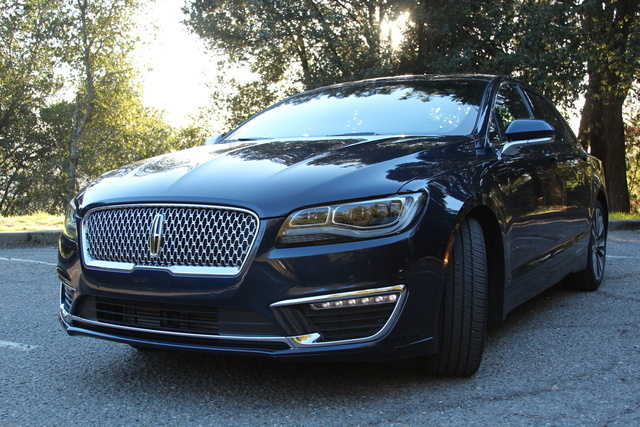 The Lincoln MKZ has been with us just 10 years, but has struggled due to its foundational and conceptual relation to the Ford Fusion and, according to Ford, resistance to the split-wing grille that has dominated the Lincoln brand in recent years. But with sales successes coming from the MKX and the Navigator, Lincoln has redesigned the MKZ with a new direction in mind, hoping it can continue the upward swing and finally cement itself as a luxury stalwart. 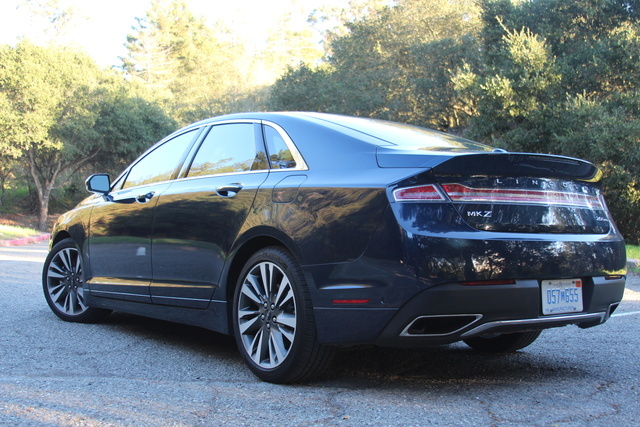 To that end, Lincoln has given the MKZ a new front end, an exclusive new 3.0-liter V6 with class-leading power, and the new Sync 3 infotainment system, a big upgrade over the outgoing version. Based on the Ford Fusion, the MKZ gets a stout chassis and a responsive suspension as its foundation. But despite that strong start, the MKZ has been hurt by its relation to the Fusion. That's a shame, because that chassis and suspension are some of the strongest points of the MKZ. 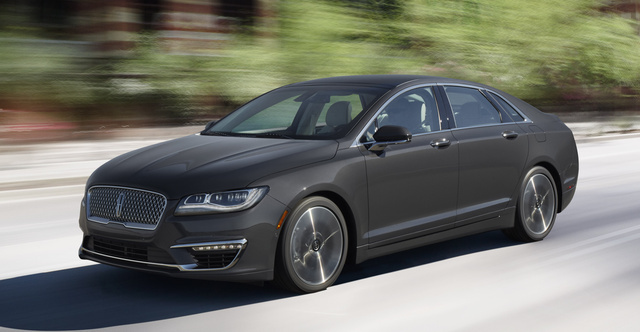 For 2017’s redesign, Lincoln has concentrated on changing the face of its entry-level midsize luxury sedan to reflect the concept for the new Continental that debuted at the 2015 New York Auto Show. This means no more split-wing grille, a design that debuted back with the 2010 MKZ. This will flow down to the rest of the Lincoln lineup and stand as the new face of the luxury brand. In addition to the new grille, the MKZ gets some redesigned headlights with added LED accents and some new chrome up front. That’s matched by a new chrome stripe on the back bumper as well, and sharp viewers will also notice the badging has been changed to drop the "EcoBoost" it previously shared with Ford offerings. Now a subtle "2.0T" or "3.0T" will take its place. Lincoln lists its trims as “Series,” and the MKZ has three of them—Premiere, Select, and Reserve—a trio that doesn’t immediately tell you which is the base and which is the top. A “Black Label” edition serves as a special trim at the top of the line, further configurable in three “themes” with upgraded leather and wood trim. For the Premiere, the base price of $35,170 will get you front-wheel drive (FWD), an adaptive suspension, and adaptive xenon headlights with LED tailights, keyless entry and ignition, dual-zone auto climate control, rear parking sensors, heated mirrors, an auto-dimming rear-view mirror, and the new Sync 3 infotainment system on an 8-inch touchscreen. If all-wheel drive (AWD) is your preference, the price will rise to $37,060. All MKZs at this level get the turbocharged 2.0-liter engine. Spending $36,920 will jump you up to the Select trim ($38,810 with AWD) and add leather upholstery over the Premiere’s leatherette, add power to the steering wheel and 4-way power lumbar adjustment to the front seats, interior ambient lighting, power-folding rear-view mirrors with an auto-dimming driver’s mirror, 2 rear USB ports, and a 3-prong 110-volt outlet. At this point you have lots of options. A $1,255 Select Plus Package will get you navigation with blind-spot monitoring and rear cross-traffic alerts, while a $2,395 Technology Package will get you everything else: adaptive cruise control, pre-collision with pedestrian detection, lane-keep assist, auto-park, front sensors, and rain-sensing wipers with de-ice capability. A Climate Package seems a particularly great deal for $695, as you get heated rear seats, a heated steering wheel, auto high beams, and the auto de-icing wipers. It’s not just packages, though. 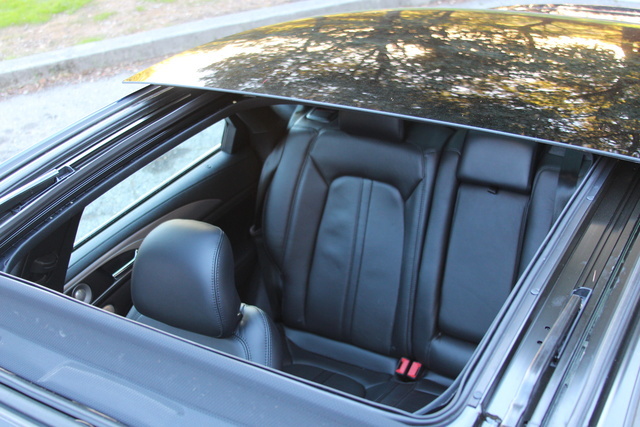 Standalone options at this level include a panoramic glass sunroof for $2,995 or a single-panel moonroof for $1,200, a $440 power trunk, a power rear sunshade for $305, and inflatable rear seatbelts for $195. And if you’d like to jump up to that monster, 400-hp V6, that’ll cost another $2,750, or $4,000 with AWD. The Reserve trim’s $39,670 price gets you all the Select’s features, plus the features from the Select Plus Package and the power trunk, 19-inch alloys, and ventilation for the front seats. If you want to move up to V6 power, it’s still a $2,750 option, so don’t assume that just because you’ve got the top-tier trim you’ll get the top engine, and AWD will run you another $1,890. It’s the same with the Tech/Climate packages and the sunroof—you’ll still need to add them. Special for the Reserve trim is a $4,400 Luxury package that gets you adaptive LED headlights with auto high beams and a “concert-level” 20-speaker Revel Ultima stereo. That’s a lot of money for some lights and speakers. And if you go for the 3.0 engine with AWD, there’s also a Driver’s Package that adds unique polished 19-inch alloys, a sport suspension with revised damping, torque vectoring, sport seats, painted brake calipers, and some appearance changes like a unique grille and interior accents. Properly outfitted, you can easily push the price of your MKZ to 60 grand, and my week with a Reserve trim with the 2.0T and AWD; the Technology, Luxury & Climate packages; and the panoramic sunroof and multi-contour seats came with a drive-away price of $53,160. The standard 2.0-liter turbocharged engine in the MKZ is mated to a 6-speed automatic with push-button gears and gets a 5-hp/5-lb-ft boost for 2017. Previous Lincoln owners likely won’t notice that small increase, but improvement is improvement. Sadly, the same thing can’t be said for the MKZ's fuel economy. The new EPA estimates for a FWD MKZ with the 2.0-liter engine come in at 24 mpg combined, with 21 city and 31 highway. That’s a drop from 2016’s ratings of 26 combined and 22/33, and estimates with AWD are even lower at 23 combined and 21/28. The good news is that in my week driving the MKZ, I got an average of 26, and even when really putting it through the paces on a full tank of gas keeping it in Sport mode, I still managed 19.9. And while its power and mileage numbers slot the MKZ below the competition, the good news is that the 2.0T is a really fun engine to drive. It delivers solid power throughout the range with little turbo lag, plus the delivery is as smooth as it should be in a luxury car. Move up to the bi-turbo 3.0-liter V6 and you’ll enjoy 350 hp in FWD form and a full 400 if you go for AWD with an equal amount of torque. Those numbers represent a 50- or 100-hp increase over the power of the outgoing 3.7-liter V6 and mean the MKZ has gone from one of the slowest options in the segment to one of the fastest, with a 0-60 time of less than 5 seconds. Current estimates put this setup at 21 mpg combined with FWD and 20 flat with AWD. But with a new engine it’s easy to ignore things like the suspension, which is one of the best parts of the MKZ. My AWD 2.0 was fitted with Lincoln’s Intelligent AWD system, but if you move up to the 3.0, you’ll also benefit from torque vectoring. Here in the 2.0, the system prioritizes FWD, but when those front wheels start to slip, it pushes power back to the rear, which in hard cornering can lead to some exciting slippage before the stability control takes over to make sure you stay pointed the right way. It’s an interesting way to experience oversteer in an AWD car, and though some may call it a fault, it’s a fun experience in what could otherwise be a very boring car. If you’re looking to search for the limits of grip, it’s not ideal. If you’re looking to inject some excitement into an otherwise leisurely Sunday drive, it’s perfect. There's also a hybrid version for the eco-conscious. 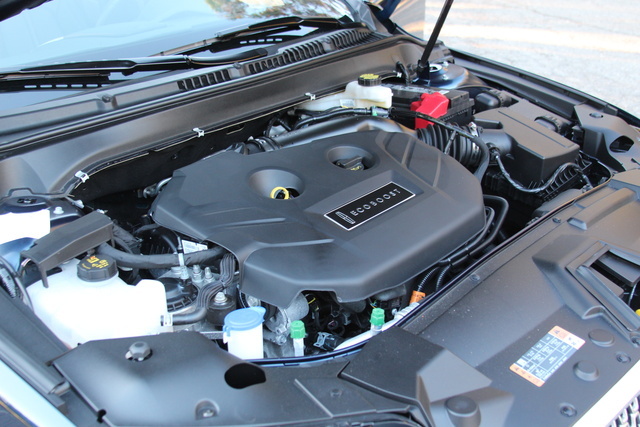 Pairing a 2.0-liter engine with an electric motor and a Li-ion battery pack, the hybrid makes do with a continuously variable transmission (CVT) and delivers a combined 188 hp. At the pump, you can expect returns of 40 mpg combined, with 41 city and 38 highway, with a 0-60 time of around 9 seconds, which is slow compared to other hybrids in the class. 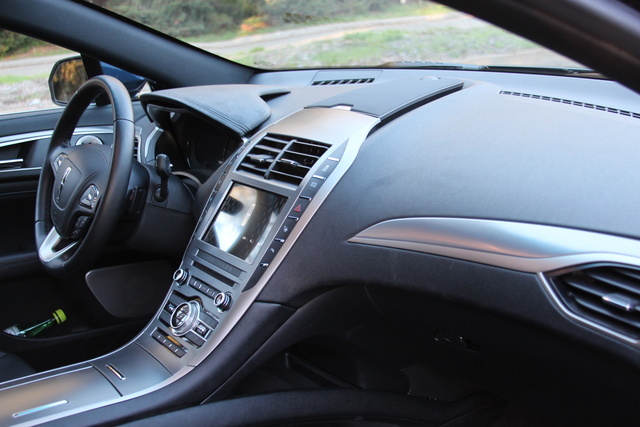 Inside, the center console has been changed as much as the MKZ’s face. Gone are the “futuristic” slide controls for volume and temperature—it’s back to traditional knobs and toggles, and the change is welcome. I’d like to see more simplification here to really underline the elegance, but otherwise things are well-damped and laid out logically. An added bonus are Lincoln-specific stalks as opposed to items pulled from the Ford parts bin. That’s a decision I wish more manufacturers would make, as it makes a monumental difference in the overall feel and reception of the vehicle. More time is spent inside than out, and “luxing” up those small touch points inside can do a lot to augment perception. 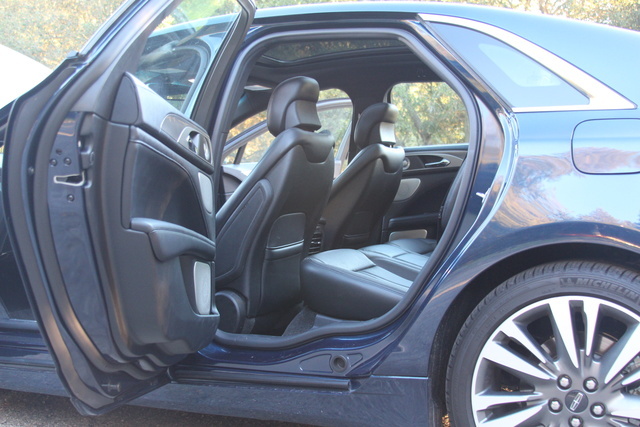 Seats are all-day comfortable, with options for heat and ventilation at this top-tier level, including backseat heat, but please note that my MKZ was fitted with the special “multi-contour” seats, so the standards likely don’t offer the same level of comfort or support. Seating in the rear is slightly compromised for taller folks, although more so in the realm of headroom than legroom. If you must put an adult back there, make sure he/she is long on the bottom rather than tall on top, but it should really be an issue only for those over 6 feet tall. And if you can stomach the $3,000 price tag, the panoramic roof is a stunning upgrade to an already cozy cabin. My major complaint with the MKZ regards its visibility. Thick C-pillars mean your view to the rear corners is atrocious. Get the blind-spot monitoring. Let me repeat: Get the blind-spot monitoring. It will be well worth its $1,200 price tag, I assure you. 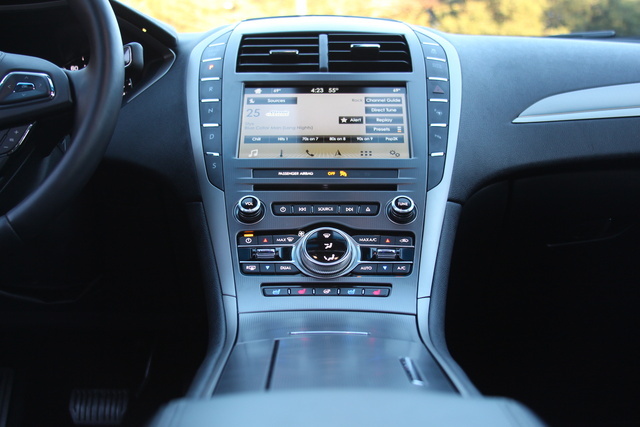 The new Sync 3 infotainment system has transformed the character of the MKZ. While other iterations of this system I’ve tested, like that in the Ford Escape, have been wholly functional but visually unfinished, this version has been thoughtfully designed and comes much closer to matching the level of luxury the Lincoln tries to provide. This new version is fast and intuitive and, most importantly, doesn’t crash on occasion, as the previous MyFord/Lincoln Touch system did. With the reversion back to knobs and buttons and toggles versus the frustrating slide controls it sported previously, the MKZ’s tech features are now a joy to use. Plus, Sync 3 now supports Apple CarPlay and Android Auto, two of my favorite new features in the automotive marketplace, capable of virtually mirroring your phone on the car’s screen. Those features put us one step closer to automotive manufacturers letting us use our chosen interfaces on their hardware, so they can concentrate on building cars rather than software. As I stated previously, blind-spot monitoring with rear cross-traffic alert is a must-have here. The $2,400 Tech Package’s adaptive cruise, pedestrian detection with auto braking, lane-keep, auto wipers, and the enhanced auto-park system are worthwhile enhancements to the MKZ’s technology profile, but at $4,400 for the upgraded LED headlights and the Revel Ultima stereo, I can’t recommend the Luxury package, as good as those 20 speakers sounded. In addition to the usual suite of standard safety features and the tech upgrades listed above, the MKZ can be fitted with inflatable rear seatbelts for added protection, and it comes with MyKey, a system that allows you to monitor and limit usage for a second, presumably younger, driver. This all contributes to the 5-star overall safety rating the MKZ was awarded by both the National Highway Traffic Safety Administration and the independent Insurance Institute for Highway Safety. However, both organizations awarded the MKZ second-best scores in their total front-impact protection and small-overlap frontal-offset test, respectively. Will you save money going with the MKZ versus the competition? Other than perhaps an Acura TLX, the answer is yes, but it depends on what you want for that money. 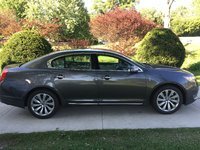 Lexus and Infiniti both have competent, luxurious, and stylish offerings in this segment with the ES 350 and the Q50, while BMW’s 3 Series and the Mercedes C-Class sedan offer more performance and refinement at a higher price. This is one of the most competitive segments in the market, and it's hard to make a bad decision. For those who want to stay American, recognize a deal, and value luxury over performance, the new MKZ represents a solid choice. Currently there’s a long list of bonus, loyalty, lease, student, and military rebates that will remain in effect until the new year, plus a lowered APR for financing through Lincoln Automotive Financial Services. What's your take on the 2017 Lincoln MKZ? Jim You forgot Thoroughbred as one of the Black Label Trims available for the 2017 MKZ. In my opinion it is one of the most beautiful interiors designed. PhaetonTim There are three Black Label themed interiors, Thoroughbred (as above), Chalet, and Vineyard. Black Label is pricey, but does include 4 years maintenance, including wear parts like tires and brakes. Have you driven a 2017 Lincoln MKZ? Car won’t start, lights look good, battery is charged , screen says “system shutdown to save battery. What do I do to reset system ignition? when I turn a corner, the inside of my car smells like gas and takes about 2 3 minutes to dissipate. It only has about 6000 miles on it! 2017 MKZ looses Recent Call List when I turn the car off. Service manager says this is normal. Agree?